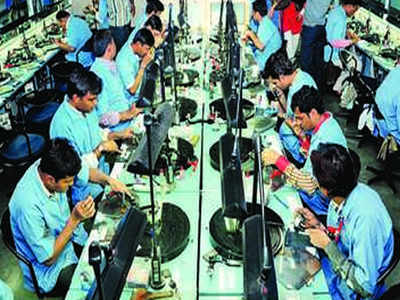 SURAT: Tens of thousands of skilled artisans in the diamondand jewellery sector in Surat and Gujarat will be given ‘Parichay card’ to ensure proper authentication for social security purposes. An initiative of Gems and Jewellery Export Promotion Council (GJEPC), the objective of Parichay card is to create a verified and well-crafted database for gems and jewellery workers to provide them with better job opportunities, help to find financial support from banks and financial institutions and provide better healthcare services through specially designed smart cards. This card not only gives the workers a valid proof of their employment or identity but also make them eligible for various initiatives. Along with the card, GJEPC will also provide an optional health insurance cover ‘Swasthya Kosh’ for all the parichay card holders. According to Agarwal, the GJEPC had initiated a group Mediclaim scheme in 2015 to provide health insurance benefit to the entire work force of the gems and jewellery sector and their families. The scheme named ‘Swasthya Ratna’, will be linked with the parichay card for extending healthcare benefits to the artisans and karigars.